In many regards, when it comes to tone, Lionheart does put me in the mind of plenty of old-school RPG’s that comes off with a straightforward and neutral voice. That is not to say that it doesn’t contain any moments of levity or earnest, but it is difficult most of the time to tell what is going for. Of course, with the comedy being far more prevalent, players will probably find themselves chuckling most of the time at the endearing and sometimes frivolous humor. In particular, Maria pretty much made the game for me, her standoffish and deadpan personality clashing nicely with Leon’s oblivious behavior. 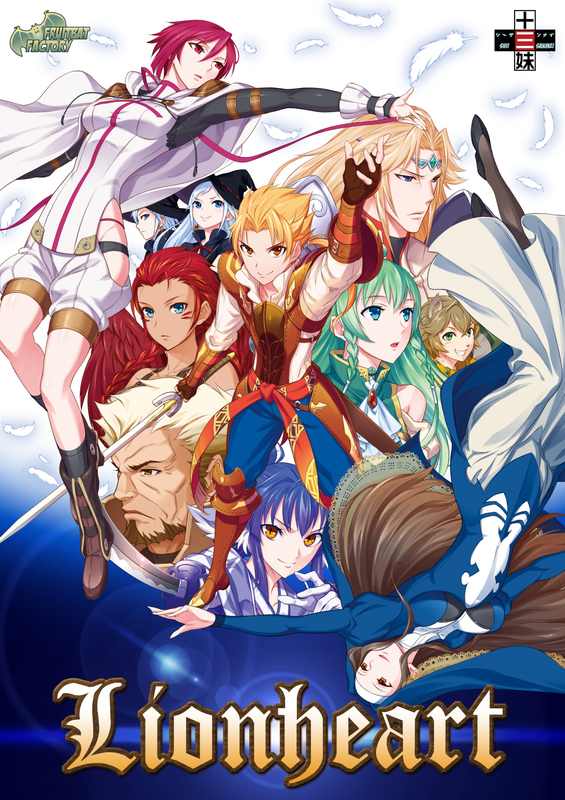 Along the way, other members are added to the team such as: Leon’s guardian, a nun of the church, greedy merchant, samurai nekomata, naive princess and more that are not only valuable party members, but also lend a hand into the brand of humor and storytelling. The narrative is by no means great, yet serviceable for what it is and gets the job done. Where most of the time will spend spelunking and exploring the Libra Corridor as far as the storyline is concerned, you will have the chance to visit other areas in order to gather much-needed resources, train, and learn new skills (if you have the required material). As far as dungeon exploration goes, it is a very simple affair where players are given a map and get to choose the movement speed. Depending on the speed, you may run across resources more frequently or enemy encounters. The quickest option will usually prompt more battles as the slowest and normal options will yield more resources, but not a guaranteed outcome. 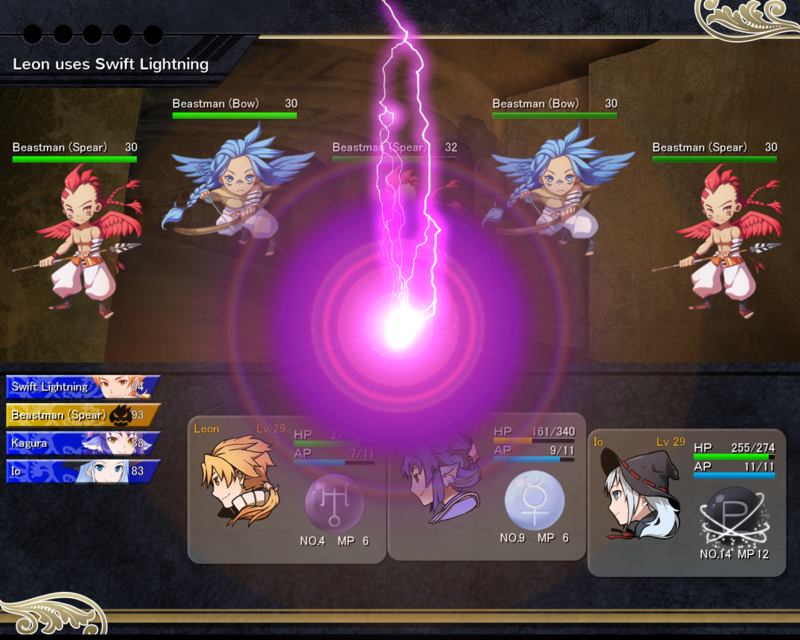 When entering combat, battles are turn-based allowing you to use up to 3 members in battle. One of the things that I like about the battle system is that it is reminiscent to the “Mana/Atelier” franchise that allows you to swap frontline and backline party members, yet makes it more necessary especially in fights where enemies can take a more of a beating and players need to recover HP and AP in order to perform special skills or even wait out their emblems (magic abilities) cooldown period. With their being 3 difficulty levels to choose from (can be changed at anytime), you will most likely find yourself using these strategies often on any, but a great deal more choosing the “Heroic” mode that doubles enemy damage. My only complaint about Lionheart’s battle system is that there is no way to speed up battles. This is especially noticeable going into the aforementioned optional areas to grind for material only to get greeted with back-to-back encounters of annoying foes that you have no choice than to whack with normal attacks if you don’t feel like letting your emblems recharge over and over. The game does promise 50-100 hours of gameplay, however wouldn’t be surprised if a good 10-15 hours of that is counted toward toiling through optional areas. For game that was produced by a fairly small team, the production values for Lionheart looks great. Background and foreground environments are somewhat bland, but the character artwork and designs easily makeup for it. I am also impressed that the game does contain Japanese voice acting in various parts – a feature that wouldn’t be missed, but nice to have nonetheless. Being appreciative for the work that has gone into the game to fit the experience, it is very regrettable that there are some technical shortcomings. One in particular, the game is not very response on the world map, usually taking a few seconds or clicking elsewhere for it to show the drop down for areas that have more than one section. Another issue regards saving that takes a minuet or two before it actually does. With Fruitbat Factory being stellar with the titles they publish, these are problems that surely will be resolved during the full release and nothing that seriously impacts the game enjoyment factor. Having plenty of other games waiting to be started or finished this year, Lionheart is another delightful title I’m proud to add to my playlist. From the spread of characters to easy-going storytelling, I would be simply remissed to understate how much amusement I was able to get out of it and still have a few more hours left to pour into it. For those that enjoy the grassroots approach to RPG’s that you can only get from the indie scene with a splash of old-school style coupled with modern sensibilities, I do highly recommend giving it a chance. Seeing how Shiisanmei seems to be at work with a sequel, I can only hope it won’t be too long until I can join Leon on his next adventure. Pros: Entertaining cast of characters, simple and solid combat system, adjustable difficulty settings, a lot of optional events. Cons: A few minor technical issues, no way to speed up or skip animations. Final Verdict: Another satisfying and engaging RPG that should be able to offer plenty for fans of the genre craving a meaty experience. Disclaimer: In no way, shape, or form was I compensated for the composition or publication of this review. This by my own volition. A review copy of the game was kindly provided by Fruitbat Factory. 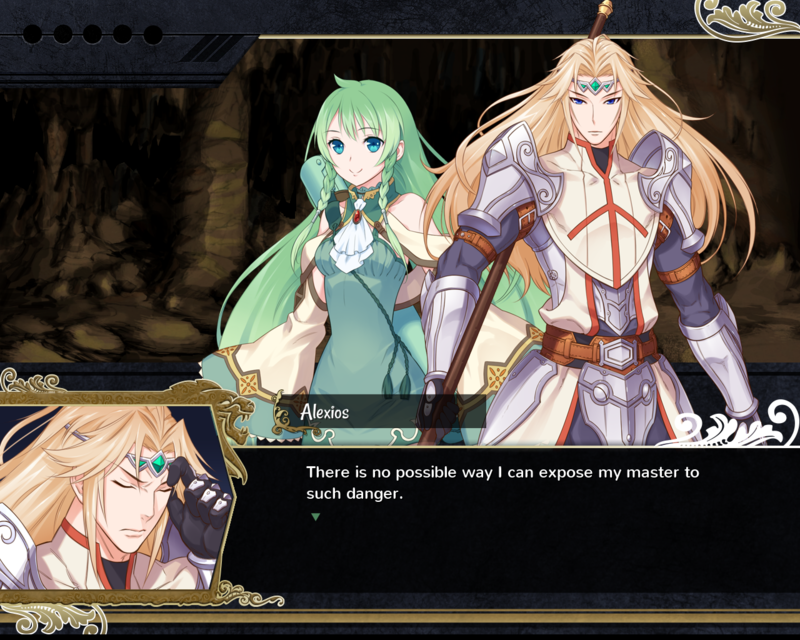 Another insightful review from Moonlitasteria, this time for our new RPG release Lionheart!